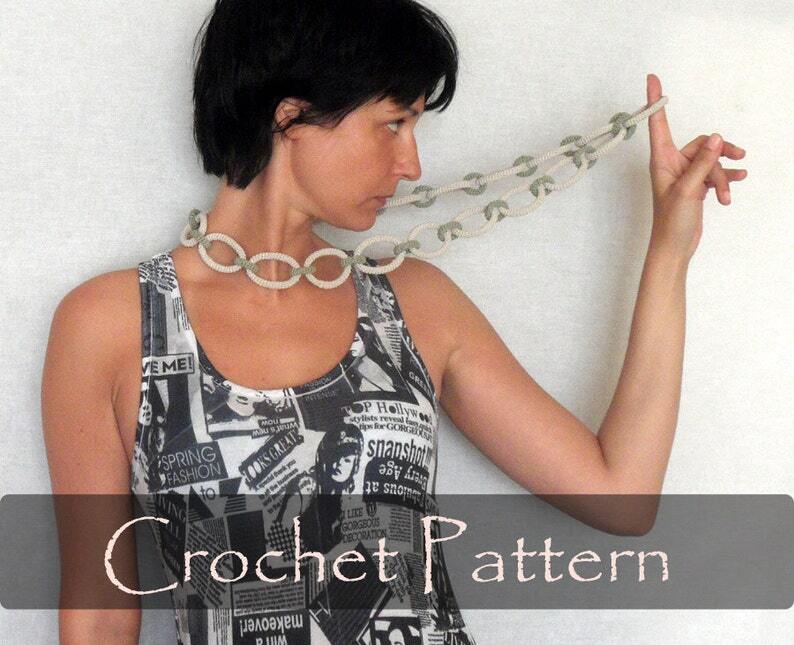 Crochet chain necklace is made with black and white cotton thread. Each big circle is crocheted separately and connected with smaller ones. It can be done in many colors. This circles necklace will give you a modern, trendy look.